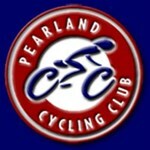 PCC has group rides every weekend in the Pearland and surrounding areas. Our ride start is conveniently located near FM 518 and Highway 288 only 20 minutes south of Downtown Houston. We ride on rural roads with light traffic, few traffic lights, and just a handful of stop signs. We have access to some of the best cycling roads in the Metropolitan Houston area. Several ride pace groups to satisfy everyone from our race enthusiasts to our general fitness folks who also enjoy social aspects of cycling. Our Ride With Us pages include New Rider Info, Pre-Ride Checks, and our Pace Group Poicy. Check out our Safety pages for Paceline Safety, Cycling Safety Basics, etc. 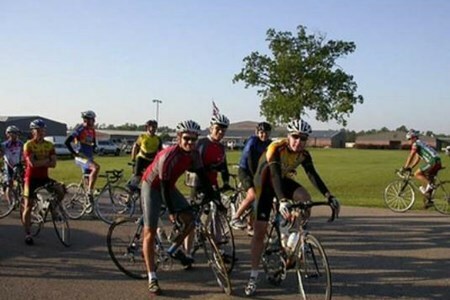 PCC supports charity events such as the annual BP MS 150 from Houston to Austin. Our Calendar/News page has our upcoming club activities like our first Friday club socials, cycling education and training seminars, and special club sponsored rides and events. Please visit our sponsors' web sites and if you are visiting their stores you may be eligible for a discount. Our sponsors feature USA Cycling certified coaches, advanced bicycle fitting, massage therapy, and other services that offer you premier cycling training in the Houston area. Club rides are on the open roads of Brazoria County with minimal traffic and good roads. Sunday Ride: Less formal riding. Ride Start times are posted to the left. Rides start at FM ... more518 and CR 90 - 1.4 miles east of SH 288. SATURDAYS: May - September at 7:30am Club rides are on the open roads of Brazoria County with minimal traffic and good roads. New Riders: On the first Saturday of each month, we will ... morehave special attention paid to new riders. The ride will be at a slower pace (up to 15 mph) but will give new riders the ability to get acquainted with the club and its rides. New riders are welcome at all times, but the first Saturday will have dedicated PCC members available for guidance. For more information contact Justin. Saturday Ride: This is our regular Saturday ride. Multiple pace groups - usually 14-, 15-17, 18-20 and 21+. Routes vary from 30-55 miles. See the Maps section for the routes. Ride Start times are posted to the left. Meet beginning about 30 minutes prior to the ride start.